Never miss a post! Sign up for blog alerts today! Welcome to Food For Thought, the companion blog to the AllergyEats restaurant guide. Here we add more color to the picture – whether we’re talking about restaurants, travel, legislation, personal stories, or anything else related to food allergies. We hope you’ll share your own comments and be a part of the conversation, too. Enjoy! Does Lulu’s have the best allergy-friendly menus? You decide! Has Texas Roadhouse given up on the food allergy and gluten-free community? We’d LOVE to hear from you! Send us your feedback. ©2019 AllergyEats, Inc. All rights reserved. AllergyEats is the leading guide to finding food allergy-friendly restaurants (and those not so friendly) across the United States. 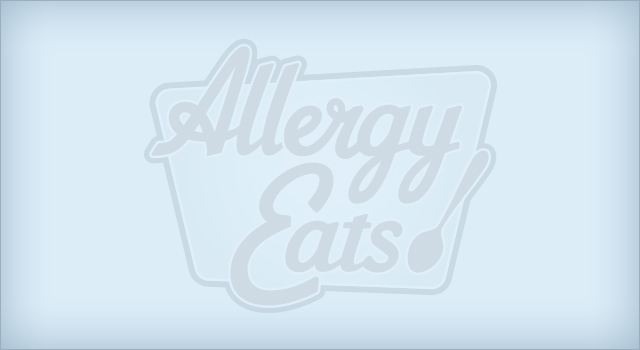 At AllergyEats, users can find and rate restaurants in any city based on the restaurant’s ability to accommodate diners with food allergies, including dairy, peanut, tree nut, fish, seafood, soy, sesame, wheat and egg allergies, as well as those with Celiac Disease, gluten sensitivity, and other dietary conditions. Users can also save favorite restaurants, share search results or reviews, follow other diners with similar food allergies, make restaurant reservations, view restaurant menus and more – all for free on the AllergyEats app and website. In addition to being able to find and rate restaurants from Boston to San Diego, Seattle to Miami, and anywhere in between (plus Hawaii and Alaska! ), AllergyEats also has a very popular page devoted to those vacationing in Disney World, AllergyEats Disney World, where users can find and rate restaurants in the parks, hotels, and surrounding Orlando area based on the “allergy-friendliness” of those dining facilities. And with our newly re-designed app, you can find restaurants, share results, get directions, see menus, make reservations, and more - all from the road. Use the AllergyEats website, blog, and app to plan your trips and for unplanned stops along the way.